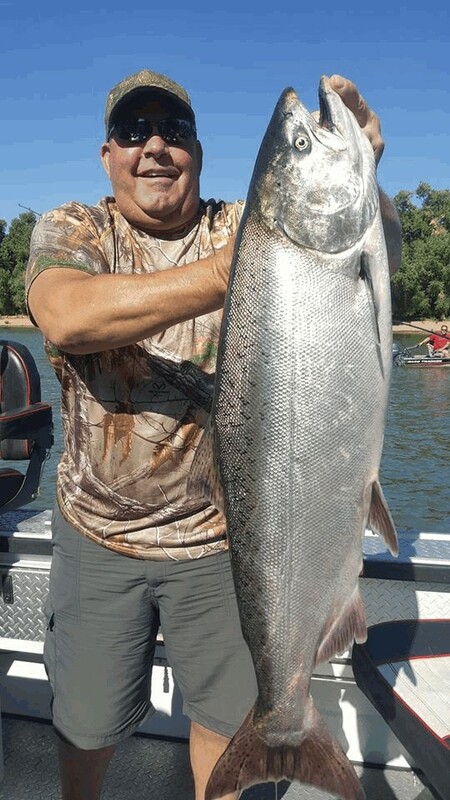 Salmon season on the Sacramento River opened with surprisingly productive fishing on July 16. Guides and experienced anglers reported the top Chinook action at two locations – the mouth of the American at Discovery Park in downtown Sacramento and the upper section of the river below Red Bluff. The salmon season opened as trollers and some moochers continue to hook limits of salmon while trolling off Half Moon Bay and outside of the Golden Gate. Anglers fishing out of Bodega Bay are landing limits many days also. Fishing on the Sacramento’s two major tributaries, the Feather and American rivers, was tougher, though anglers landed a few quality fish there also. Kirk Portocarrero of https://www.sacriverguide.com reported top-notch fishing on opening day out of Discovery Park. “The four anglers fishing with me landed 4 salmon ranging from 12 to 18 pounds. We trolled Silvertron spinners below the mouth of the American,” he said. Portocarrero also reported two quality salmon in the boat on the morning of July 17. At press time, anglers were continuing to hook some big, bright salmon on the Sacramento from Discovery Park to Garcia while trolling spinners and plugs, although the fishing had slowed down from the faster action on opening day. Further downriver at Vieira’s Resort in Isleton, slow fishing was reported on opening day, with two salmon landed. 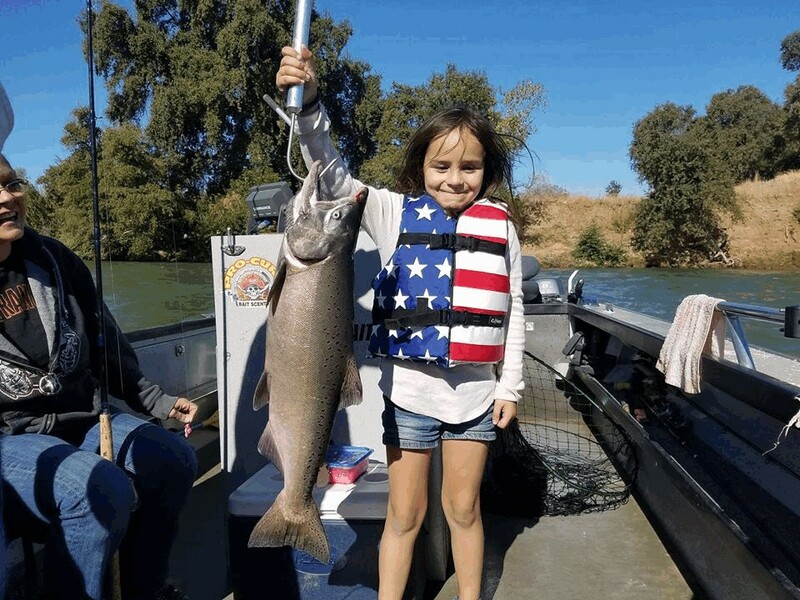 Robert Weese of Northern California Guide Service said he experienced “pretty good” salmon fishing on the Sacramento below Red Bluff opening day. Then on Tuesday, the three anglers fishing with Weese bagged early one fish limits of salmon in the 15 to 18 lb. range. Savvy anglers fishing the Feather River landed some bright, beautiful kings on opening day, although the fishing wasn’t as good as it was on the Sacramento. They hooked their fish while anchored up with a #16 Brad’s Killer Fish in the “Psycho Clown” pattern. Tim Boggs of Elkhorn Bait and Tackle also reported tough fishing on opening day. “We went upriver on the Feather River all of the way to Beer Can Beach from Verona,” said Boggs. 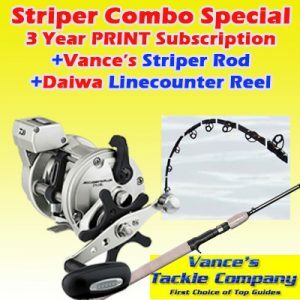 “We didn’t see any fish caught nor did we see any roll. It looks like the federal fishery managers underestimated the amount of the salmon showing in the ocean this season, as they have often done. The 2017 Sacramento River fall Run Chinook jack counts were well above normal. A total of 24,375 jacks returned to the Upper Sacramento, Feather River and American River Basins last fall. year. The Sacramento Index forecast for 2018 was nearly identical to the 2017 forecast. However, based on the fishing found now on both the ocean and river, it appears that the actual number of salmon in the ocean is much more than forecast, since there has been good fishing reported in such a wide area pm the ocean from Bodega Bay to below Half Moon Bay. 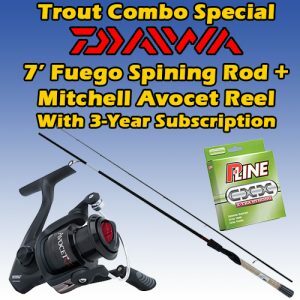 For more information, contact: Kirk Portocarrero, sacriverguide.com, 800-670-4448; Sacramento Pro Tackle, 916-925-0529; Robert Weese, Northern California Guide Service, 530-755-7196; Rob Reimers, Rustic Rob’s Guide Service, 530-632-0051; and Elkhorn Outdoor Sports, 916-991-5298.